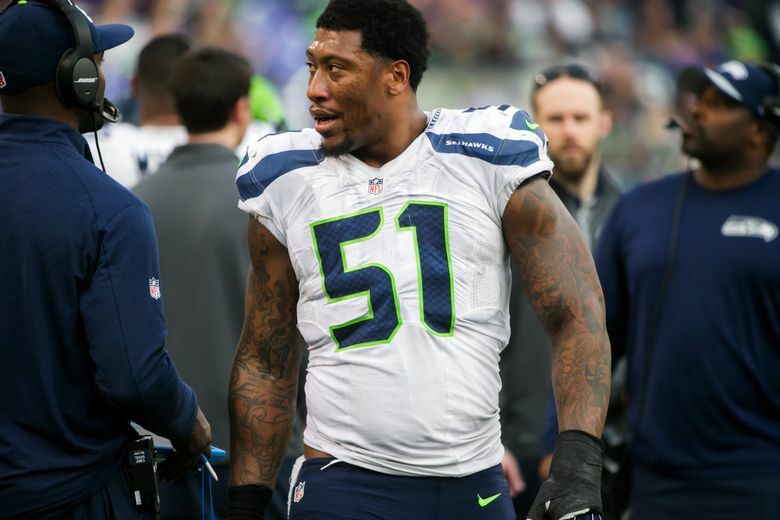 There are multiple reports that Bruce Irvin will sign with the Oakland Raiders on Wednesday. The Seahawks have suffered their first significant loss of free agency, even if it was an expected one, as there are multiple reports that linebacker Bruce Irvin has agreed to sign with the Oakland Raiders. NFL.com and ESPN are each reporting that Irvin has agreed to sign with Oakland. Irvin was Seattle’s first-round pick in 2012 and had a valued role the last two seasons as a strong linebacker on rushing downs and an edge rusher on passing downs. While teams such as Jacksonville and Atlanta had long been portrayed as favorites to land Irvin — Irvin is from Atlanta and each is coached by former Seahawks defensive coordinators — Oakland had also been considered as a possible contender throughout due to the presence of defensive coordinator Ken Norton Jr., who was the linebackers coach for the Seahawks from 2012-14 during Irvin’s first three years in Seattle. The Seahawks could have secured Irvin’s services for the 2016 season last spring by exercising an option that would have paid him just under $7.8 million — since Irvin was a first-round pick, the Seahawks had an option for his fifth season. But the Seahawks declined to pick up the option, at the time stating they hoped they work out a long-term extension with Irvin. But that also did not happen, which set the stage for his departure from the Seahawks. Irvin turns 29 on Nov. 1, and that was viewed as one reason the Seahawks were reluctant to make a heavy investment in his future. While some nationally perceived it a surprise that Irvin signed with the Raiders, many inside the Seattle organization long felt they were a heavy contender for his services due to the presence of Norton. Norton often called Irvin the best athlete on the team, in 2014 saying that he would pick Irvin first if he was choosing up sides for a sandlot football game. The question for the Seahawks now becomes how to replace Irvin. When Seattle declined his option spring the thought was that Kevin Pierre-Louis could slide easily into a role as the third starting linebacker. That seems more uncertain now after Pierre-Louis played sparingly and with mixed results in 2015. But he remains on the roster and Seattle could also try Eric Pinkins at that spot, as well as maybe Mike Morgan, if he re-signs, and could also look for a replacement in the draft or free agency. It was Morgan who got starts in November against the 49ers and Steelers when Irvin was dealing with a knee injury. Or maybe Frank Clark can take on some of Irvin’s role, as well. Clark intriguingly tweeted a photo late Tuesday night of him on a scale at 257 pounds — down from his listed 272 of last season — referencing a plan in affect. The Seahawks could also look to the draft and to free agency. Two members of the Packers who will be free agents — Mike Neal and Nick Perry, the latter of whom played at USC for Pete Carroll — have been mentioned as possible sensible replacements. Irvin was a somewhat surprise choice as Seattle’s first-round pick in 2012 out of West Virginia, initially considered as a pass-rushing specialist. He had eight sacks as a rookie in 2012 but struggled some when playing as an end in rushing downs and the Seahawks eventually moved Irvin to strongside linebacker in rushing downs, which took advantage of his immense athletic skills, allowing him to work in pass coverage as well as run defense and rushing the passer. Irvin’s best season as a Seahawk might have come in 2014 when he returned interceptions for touchdowns in two games and also had 6.5 sacks. He had 5.5 sacks in 2015 in what will turn out to be his final season with the Seahawks.